June 20, 2018 – (Milwaukee) Milwaukee Repertory Theater kicks off the 65th Anniversary Season with a record-breaking on-sale for the four-time Tony Award- winning musical In the Heights with music and lyrics by Hamilton creator Lin-Manuel Miranda and book by Quiara Alegría Hudes. The Monday, June 18, 2018 on-sale event resulted in over $200,000 in sales, making it the highest grossing on-sale for a musical in the Quadracci Powerhouse, selling a record-breaking number of tickets. Several performances are now sold out and many more are nearly sold out. Best availability in September is Tues. Sept 18, Wed. Sept 19 or Sun. Sept 23, 7pm or later in October. In the Heights runs September 18 – October 28, 2018 in the Quadracci Powerhouse. Purchase tickets at www.MilwaukeeRep.com, by calling the Ticket Office at 414-224-9490 or in person at 108 E. Wells Street in downtown Milwaukee. Winner of the Pulitzer, Emmy, 2 Grammy, and 3 Tony Awards, Hamilton’s creator Lin-Manuel Miranda is a global superstar and his 4-time Tony Award-winning musical In the Heights takes place in the vibrant New York community of Washington Heights. A place where the air is filled with the sounds of salsa, merengue, soul, hip-hop and R & B. It’s also a neighborhood on the brink of change, full of hopes and pressures, where the biggest struggles can be deciding which traditions you take with you, and which ones you leave behind. In the Heights is a show sure to capture the heart of all ages with its universal theme of chasing your dreams and finding your true home. In the Heights is directed by Rep Associate Artistic Director May Adrales (Rep’s Animal Farm, The Who & The What), music direction by Rep Associate Artist Dan Kazemi (Rep’s Guys and Dolls, Always…Patsy Cline), choreography by William Carlos Angulo (The Bridges of Madison County at Marriott Theatre), set design by Tim Mackabee (Broadway’s Elephant Man), lighting design by Robert Aguilar (Seattle Rep Associate Lighting Designer), costume design by OBIE Award winner David Reynoso (Sleep No More), sound design by Megan B. Henninger (Rep’s Guys and Dolls). Casting to be announced at a later date. 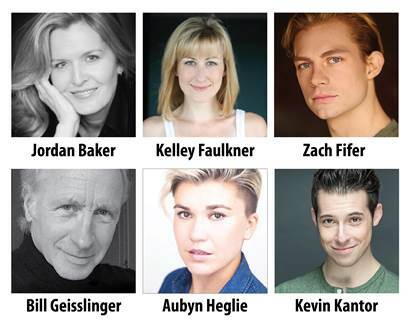 In the Heights is a co-production with Seattle Repertory Theater and Cincinnati Playhouse in the Park. It is presented by The Plunkett Family Foundation and sponsored by BMO Harris Bank with Executive Producers Gina and Eric Peter, and Melanie and Steve Booth. The Rep is sponsored in part by the United Performing Arts Fund. Tuesday, August 14, 7pm at Skyline Music Festival at Selig-Joseph-Folz Amphitheater in Kilbourn – Kadish Park, between North Ave and Reservoir Ave.
For more information, please visit www.MilwaukeeRep.com. 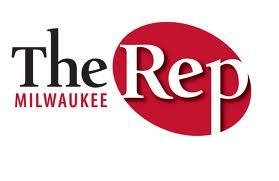 Milwaukee Rep is the largest performing arts organization in Wisconsin in terms of audiences served and one of the largest professional theaters in the country. Each year, The Rep welcomes up to 275,000 people at nearly 700 performances of 15 productions ranging from compelling dramas, powerful classics, new plays and full-scale musicals in its three unique performance venues – the Quadracci Powerhouse, Stiemke Studio and Stackner Cabaret. Now in its 65th Season, The Rep has gained a national reputation as an incubator of new work, an agent of community change and a forward-thinking provider of vital arts education programs. Under the leadership of Artistic Director Mark Clements and Managing Director Chad Bauman, Milwaukee Repertory Theater ignites positive change in the cultural, social, and economic vitality of its community by creating world-class theater experiences that entertain, provoke, and inspire meaningful dialogue among an audience representative of Milwaukee’s rich diversity.